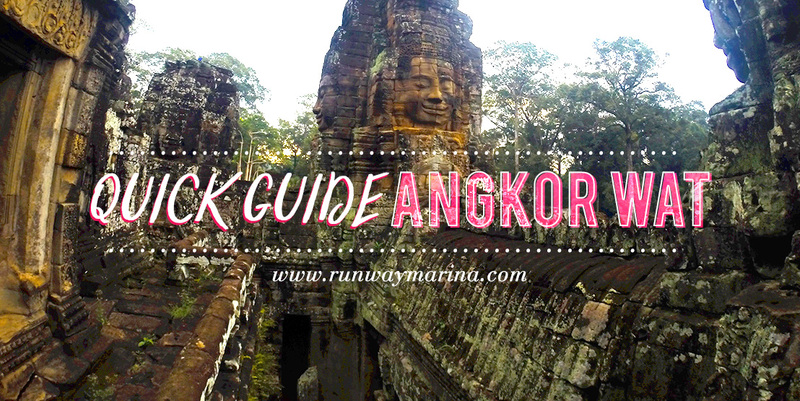 I and Arma had a good time exploring Angkor Wat for 2 days by using the Big Loop. We did not notice many things to the preparations but after that, we realise we had so many things we should have done. 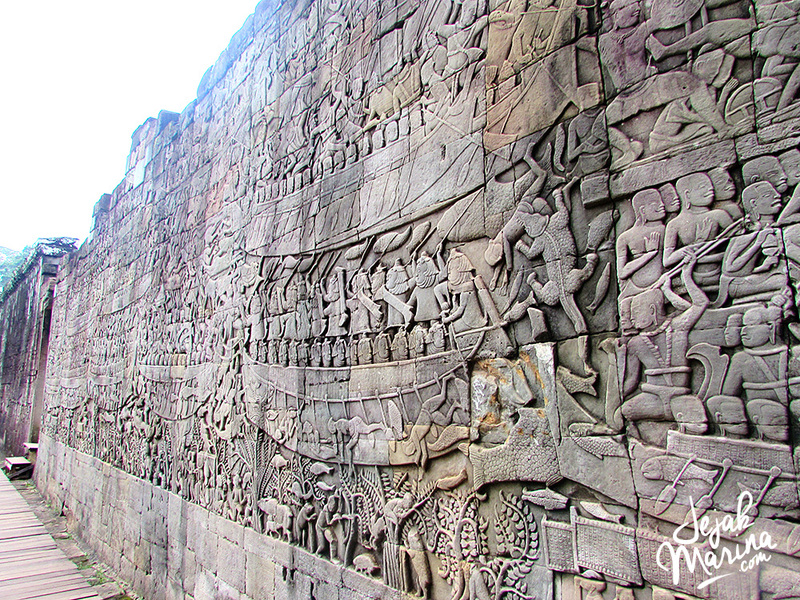 And that’s why to take some precaution for you who will visit them too, I have gathered a couple of quick Angkor Wat guide. If I were able to do it all over again, I would try to check on these things first! It can be varied. Siam Reap full of hostels, hotels and guesthouses. From 2$ hostel until 20$ guesthouse for 2 people, you can get a free breakfast and standard wifi. I didn’t even book any hostels and just go to the centre and looked around the guesthouses. Again, plenty of food and restaurants. A good meal can cost around 5$-10$ per person. But if you went to the night market it can cost less. Tickets – Big Loop or Small Loop? Deciding the tickets means you have to decide to take the Big Loop (2 days mostly) or Small Loop (1 day is enough). 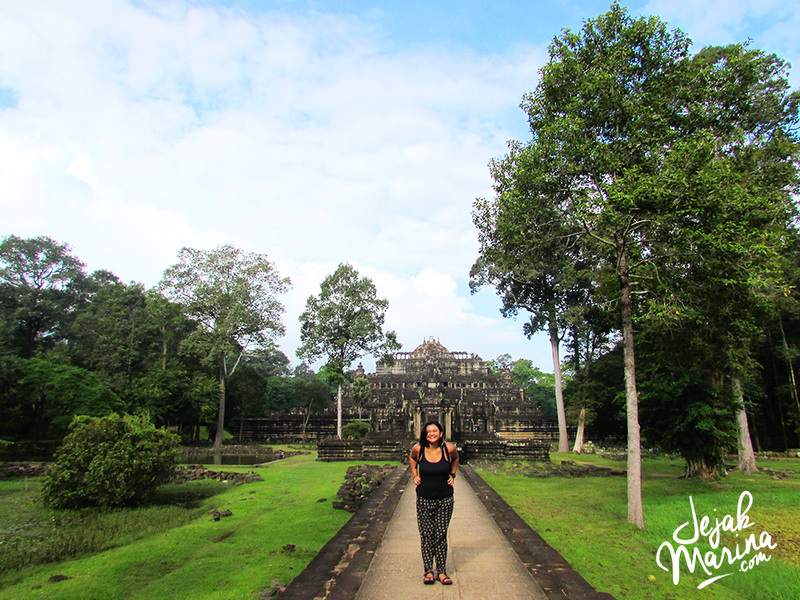 Small Loop: Angkor Wat, Bayon Temple, Ta Prohrm (Tomb Raider movie setting) plus other 4 temples around the main area. 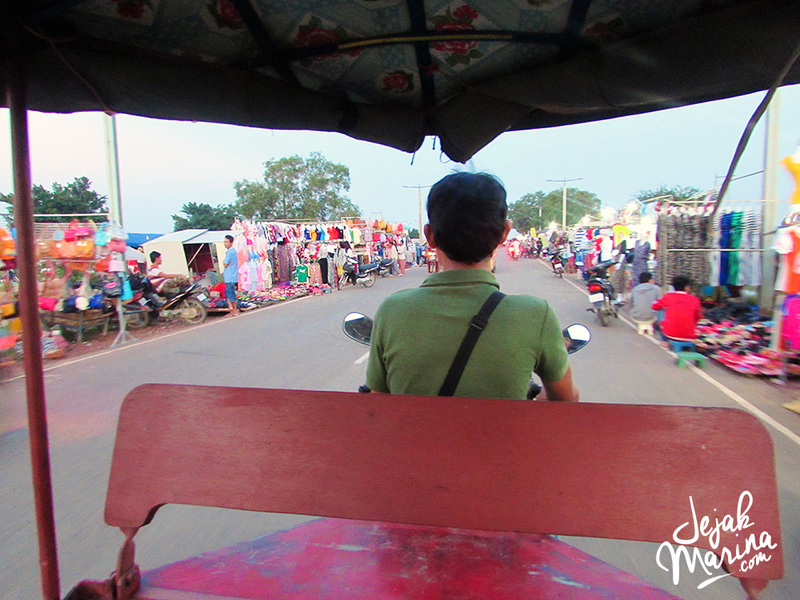 If you are going together with several people or other solo travellers, Tuk-Tuk is the best way to explore. But if you are alone and on a budget, Bicycle is your option. 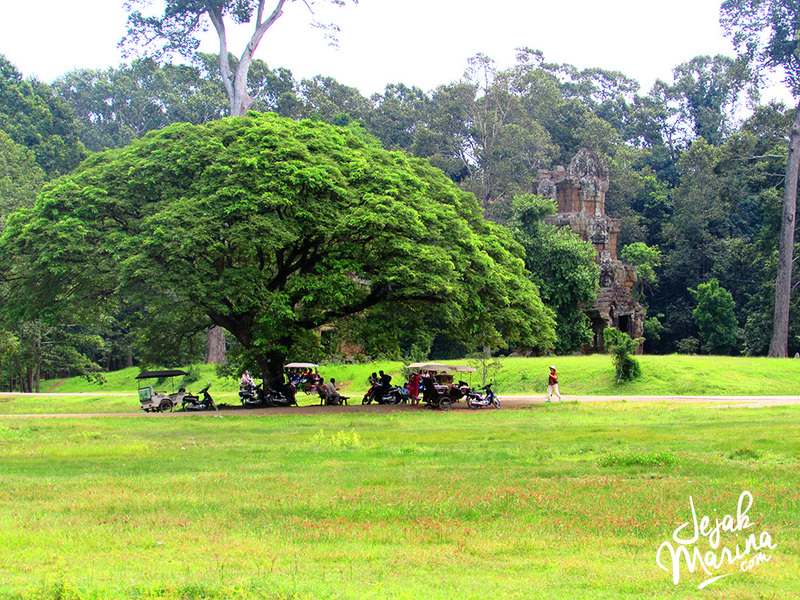 Usually, cost 25$-30$ per day for hiring the tuk-tuk to explore the Angkor Wat. If you can’t find any driver, ask your hotels to find you one. My driver back then in Angkor Wat was the nice guy named Jumbo, you can find his number here. If you decided to bike your way, rent could be 2$-3$ per day. Watch the Sunset or Sunrise? Both is doable if you are going with the Big Tour. Most people goes to the Sunrise Temple, but even if I went at 4 am in the morning, there were already hundreds of people getting ready with their tripod and camera aside from the lake. Same thing happens with the Sunset temple too. But make sure you wear a proper dress because you can’t enter it without the dress code. It also depends on the weather, I couldn’t get a good sunset because the sky was crappy! Dress Properly. I know it will be super hot there so what I usually do is to wear my tank top and long trousers/skirts below the knee. But then, don’t forget to bring Sarung, cardigan or shawl that can cover your shoulders. Oh, hat too! Strong shoes, please! There will be places that you need to climb up and some light treks. You will be out all day long without charger plugins. Bring a full charge power bank! For hungry gals like me – lots of chocolate (to gain energy) and big water bottle on your tuk-tuk. I was super grateful that Jumbo put stocks of the cold water bottle on his tuk-tuk!!! Busiest season as it’s a cooler time: November until March. Low season: May, June, July, September. Come earlier to buy the tickets. Especially during those busy months. The queuing will be long! Beware of the scams! Some children or old granny giving you some bracelets and stuff they put on you as gifts, but in the end, they ask for money. Some children trying to sell you souvenirs and postcards, sometimes they can push and follow you around. Be sure to be firm to say NO! Prepare fully charged camera and extra memory. Please do not take the important relics or even break them. It has so many histories! Hot Air Balloon tour like the one in Cappadocia with the view like Bagan temples. 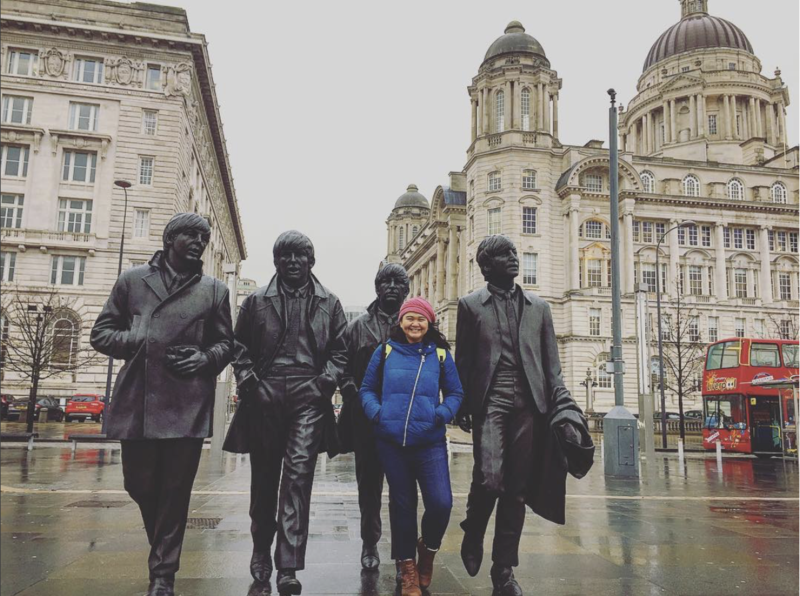 Although it can be pricey for budget traveller – still a good experience! 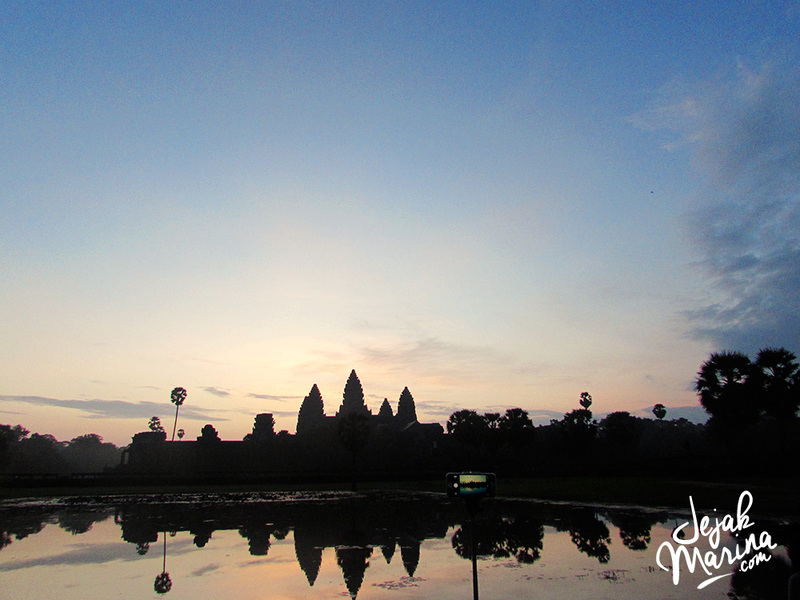 There are some bicycle tracks for those who likes to cycle through the untouristy parts of Angkor Wat. 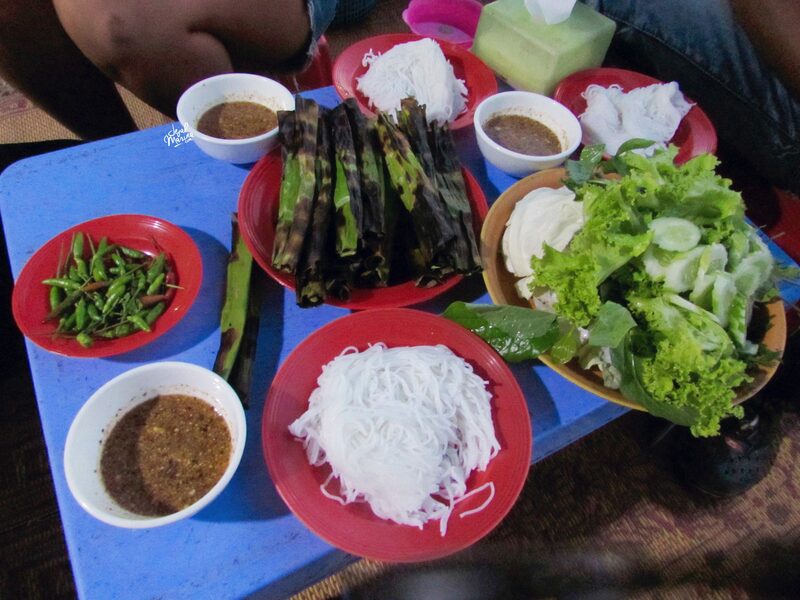 If you are already bored with the temples – get on the boat and explore Ton Le Sap floating villages tour. There you go. 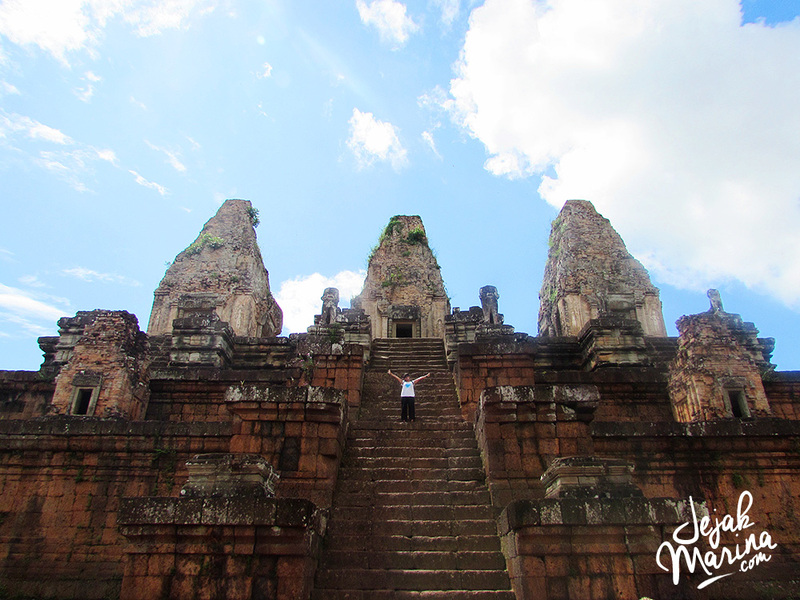 I hope you are ready for the big adventure around Angkor Wat, and please let me know how it goes? Anything else that you can share about your trip there?